Written by bestselling author Boris Starling, Teenagers is one of the first titles in the brand new Haynes Explains series. 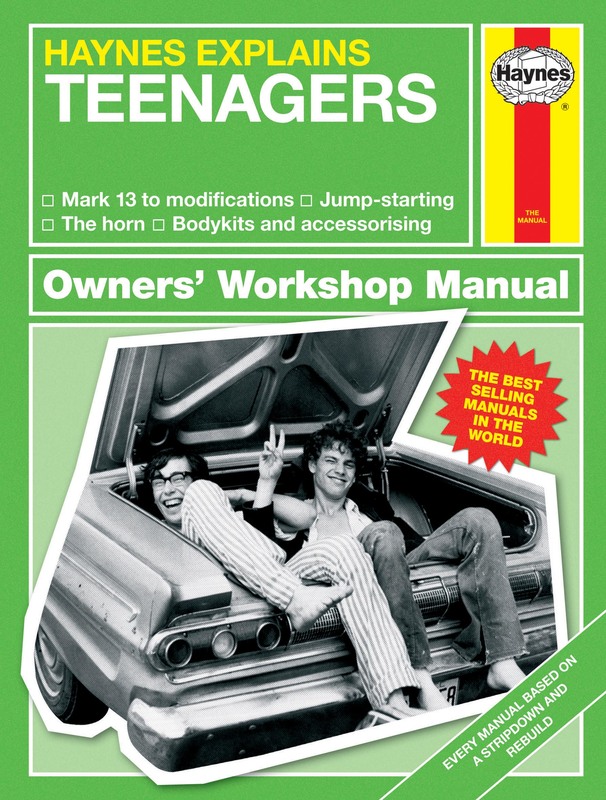 A light-hearted and entertaining take on the classic workshop manual, it contains everything you’d expect to see including exploded views, flow charts, fault diagnosis and the odd wiring diagram. 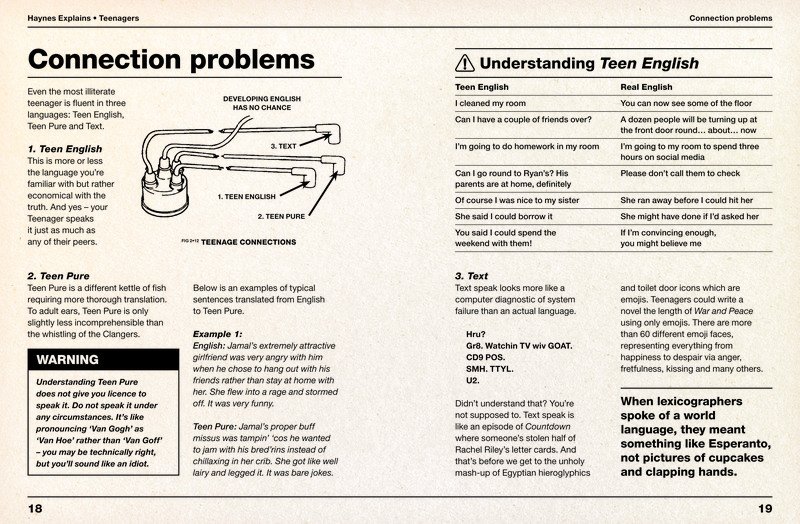 It takes the reader through all stages of teenage life, giving them all the hints and tips needed to keep them running smoothly.